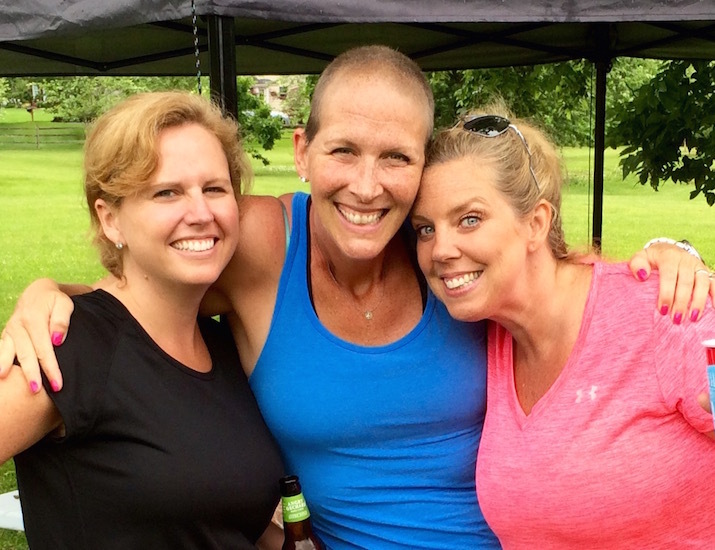 Living out a cancer diagnosis has changed me. There is less room for the negative, because life has proven that there is so much to grateful for. But I still struggle in a pretty spectacular way with the living out of what has changed inside of me. True confession here. My high school girl friends have an annual coffee Thanksgiving weekend. These women are beautiful, kind, generous, compassionate, brilliant, successful and funny. I love them. I treasure them and the instant conversation that ensues when I join their company. Time has never passed. These ladies are quality. I’m big into old friends are the best friends, staying connected, investing into relationships. You get what you give, and I want these ladies in my life. I skip this awesome tradition almost every year. Because I feel fat. Yep. I stay in my house and miss the conversation and the hugs and laughter and friendship because I’ve been convinced that my size would be too much to overcome and surely overshadow any talking we could do. It would be the elephant in the room, pun intended. Warning. I save my bad words and I am going to use them for this. That is such bullsh*t. Not one of the world’s smallest measurement of judgment has ever come forth from my friends. Never. Ever. That’s why I love them so much. We look at hearts and brains, not shoes and sizes. Me. I judged myself. Deemed myself unacceptable and unworthy because the annual coffee falls on a day where I’ve had a couple days of overindulging and I would be up a few pounds. Story gets happy now. I went this year. Decided two weeks ago I was going. Granted, I showed up on the wrong day, but the motivation was there. Same weight, much worse hair cut, but a changed heart. How incredibly selfish and small I’ve acted. How incredibly freeing to finally get it. Are you so sick of hearing of this new post-cancer perspective on life? Too bad. I’m going to repeat it until you get it, because you are worth it. Whatever you are worrying about, whatever is holding you back — here is what I think might be happening. It might just be you and your own insecurities, and your own inner dialogue might not be entirely accurate. You don’t know what tomorrow will look like. Our outer beauty is fading by the moment. What you have today and what you are is enough. I promise.